SINGAPORE (March 13): The brighter economic outlook for Asia this year is set to contrast with 2016’s more sobering expectations due to positive signals from several key metrics so far, says UOB in a Monday flash note. 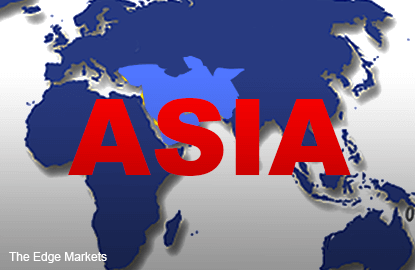 Asian economies have generally reported a stable set of 4Q16 and 2016 GDP numbers with Singapore and India being welcomed surprises, resulting in analysts upgrading the 2017 outlook for these two economies. China’s economy also continued to show its resilience despite slightly smaller growth targets set by the authorities from 6.5-7% in 2016 to 6.5% this year. Early 2017 exports and manufacturing data suggest some positive momentum in line with the global demand recovery, albeit supported to some extent from last year’s low base. Commodity exporting countries such as Vietnam are benefiting from a stabilisation in prices since late 2016 while infrastructure investments in the region could contribute more strongly to growth as governments including Malaysia, Indonesia and Thailand step up their developments. Due to these factors, most of the regional central banks have guided for an improvement in growth outlook for 2017. Still, UOB advises investors to keep an eye on four key signposts for the sustainability of this moderate to slight improvement in Asian outlook this year. These include further improvements in the US economy, stability in the European political landscape, proper management of China’s growth slowdown and potentially destabilising protectionist policies from the US administration. UOB warns of exposure of Asian currencies against the greenback and as US president Donald Trump’s expected reflationary policies continue to increase price pressures. This puts Indonesia at greatest risk due to planned electricity tariff hikes and potential for upward revision of retail gasoline prices. While Malaysia had been raising its fuel prices since October 2016, the Indonesian government has yet to adjust its domestic retail gasoline prices since April last year, explained UOB. These should lead to a smaller scope for further monetary easing in Asia this year and the need for monetary boost may also be further reduced as a result of the stable growth outlook. “We expect Asian central banks to stay on hold this year as they balance the risks from policy divergence with the US as well as the domestic inflation landscape,” says UOB. The risk of capital flight from Asia has seemingly receded as well as Asian currencies maintained strength amid policy uncertainties in the US. This is also anchored by improved economic fundamentals and enhanced confidence in regional central banks. “With the resilience in the Asian currencies, we have lowered the trajectory in some of our USD/Asians forecasts for this year. However, we still view the weaker dollar momentum to be transitory,” concludes UOB.